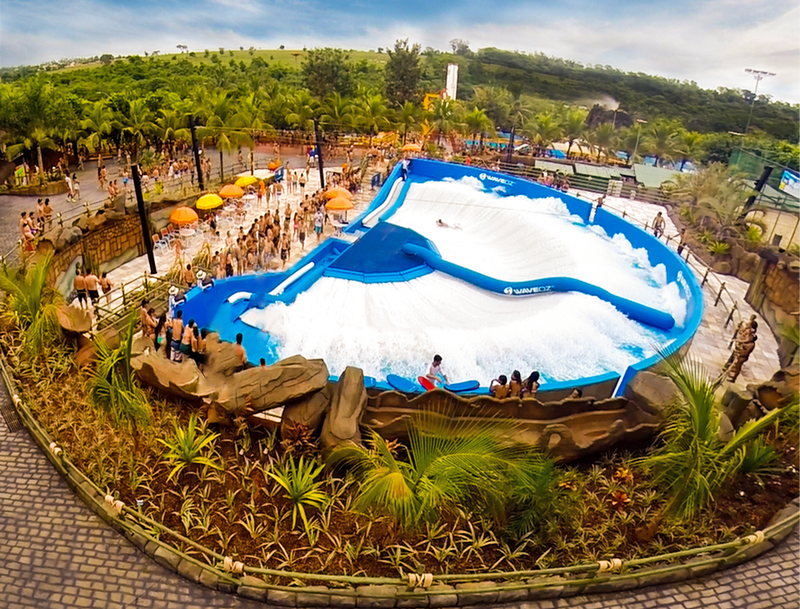 The Most Popular Surfing Attraction in the World – Big Enough for the Whole Family! 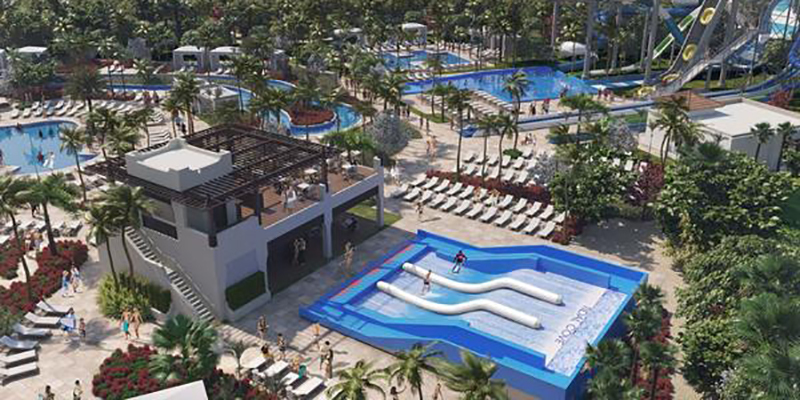 The FlowRider® Triple takes the same patented and cutting edge design from the single and double and adds in another layer of thrills. 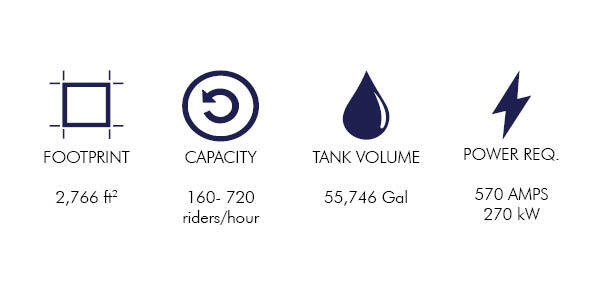 Instantly triple your ride capacity when up to three guests can share the thrills and ride together at the same time. Set up for one, two, or three guests and you can give advanced riders the thrill of dropping in, carving turns, throwing spray and performing an unending array of maneuvers, while beginners can boogie board at the same time in the safety of their own channel. 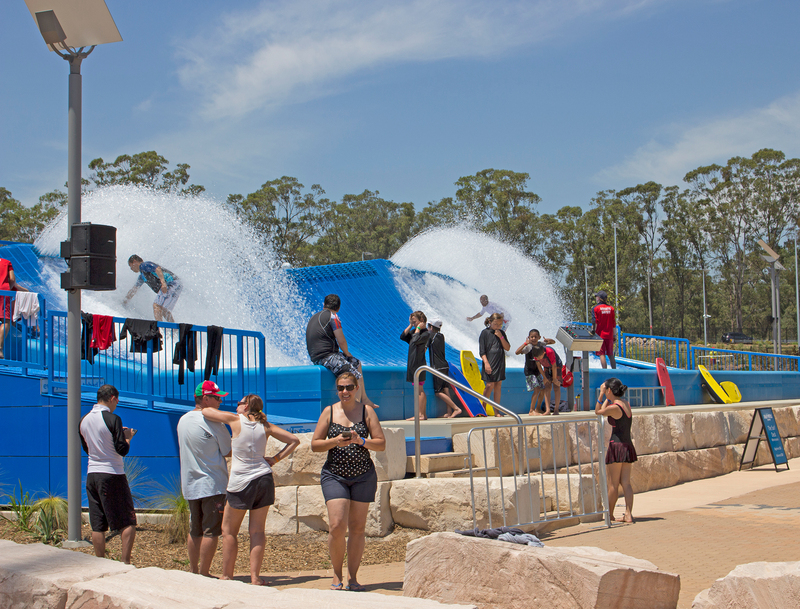 Set it up as one large surfing platform and put on a show for our guests with expert riders on a surfing stage like no other. All New Ride Surface, Three Times the Fun. 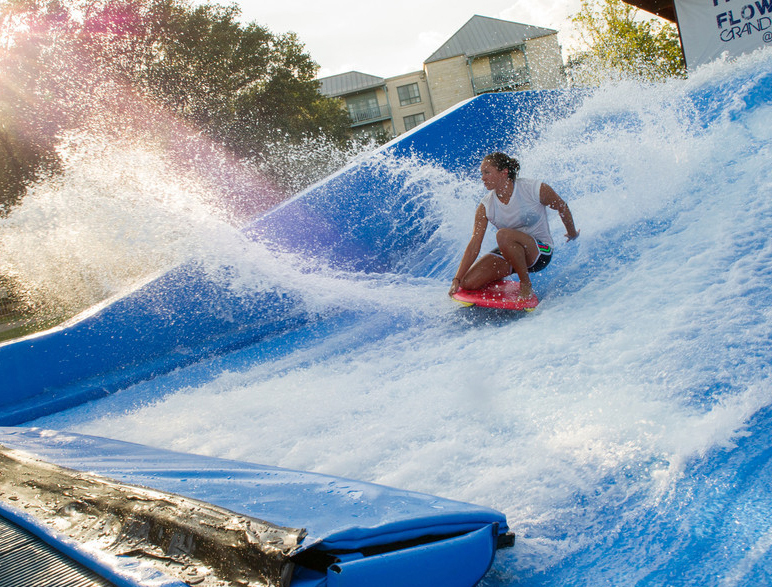 With the inflatable dividers in place, three guests can ride simultaneously while a 3-4” sheet of water flowing over the ride surface offers a constant, perfect wave. 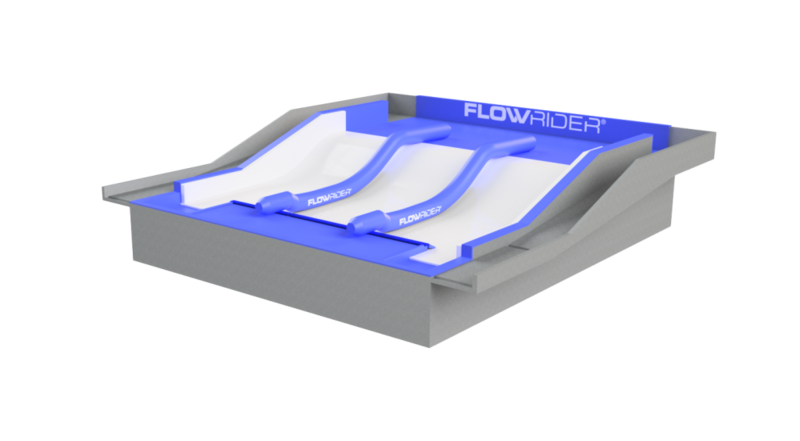 The all-new FlowRider Triple features our all new patented inflatable ride surface giving riders the softest landing yet. 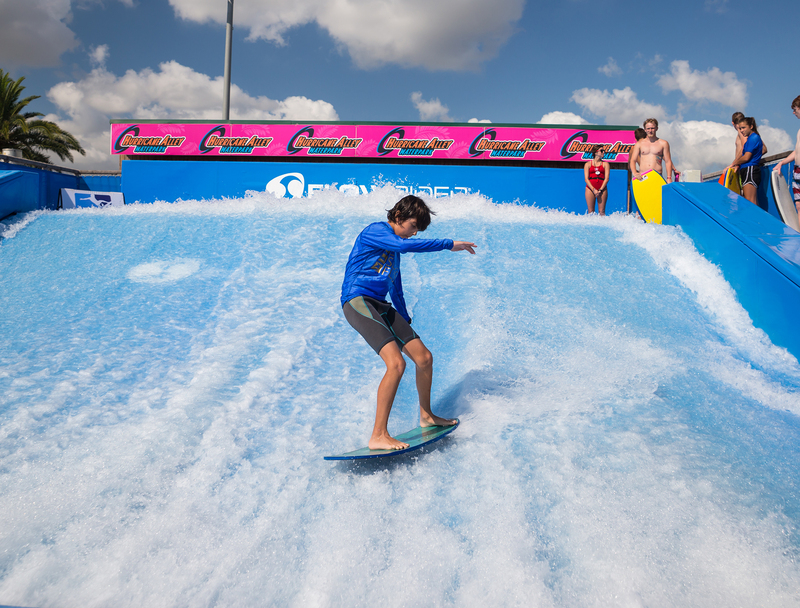 Energize your facility by adding a FlowRider® Triple today.